This job will consist of many various roles ranging from location scouting, lease or purchase negotiating of potential land, development of crawfish ponds, labor training and recruitment for pond management, distribution and of course harvesting of live Crawfish. 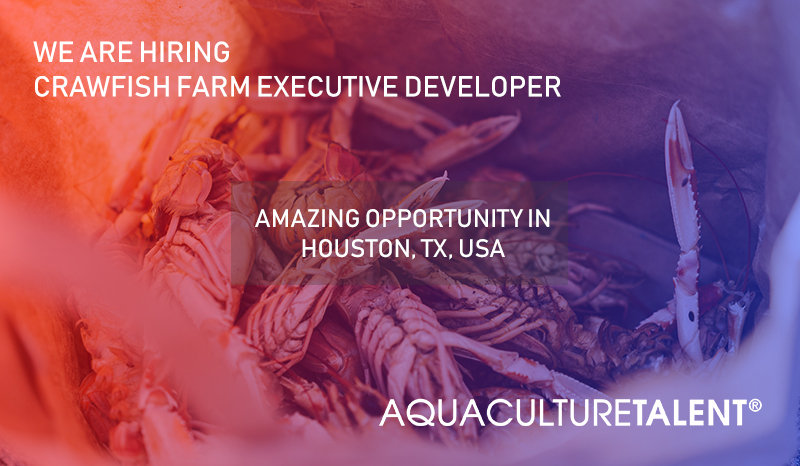 This job will consist of many various roles ranging from location scouting, lease or purchase negotiating of potential land, development of crawfish ponds, labor training and recruitment for pond management, distribution and of course harvesting of live Crawfish. Our goal is to create a stronger infrastructure to help our organization vertically integrate. Deep knowledge in Crawfish farming is required, preferentially, Louisiana Crawfish Farming. The ability to be innovative surrounding the harvesting methods and species of crawfish is required. The individual that is creative and can think outside of the box while possessing good people skills would be an ideal fit. The candidate must be a good communicator in both verbal, non-verbal and analytical methods of communicating. Having a good balance of financial and grammar skills would help this candidate excel. If the candidate lives in Texas, Louisiana, Mississippi, Alabama or Florida then relocation to Houston is not necessary. How to raise and harvest pond crawfish. General engineering for pond type that meets our company standards. Degree from Louisiana State University in Aquaculture.